BEIJING, March 23 -- President Xi Jinping on Wednesday underscored the importance of combat effectiveness in the military academy. 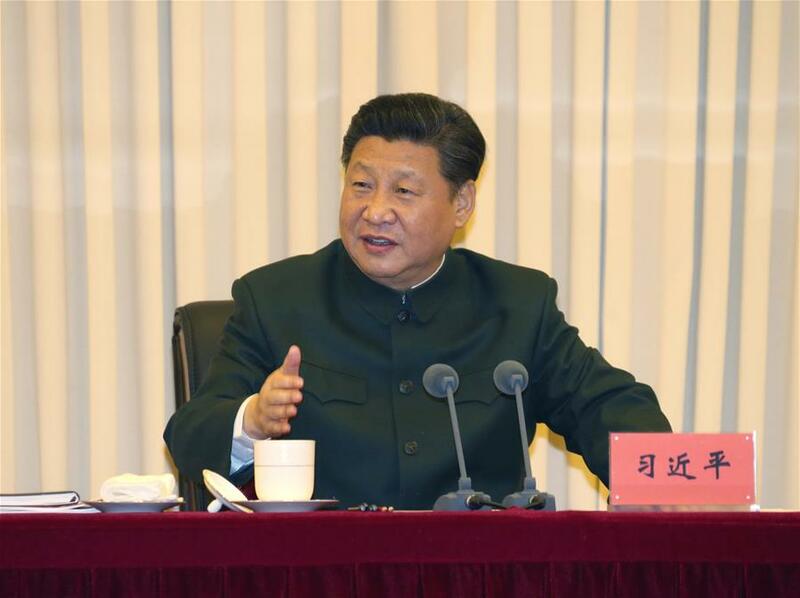 Xi, who is also chairman of the Central Military Commission (CMC), urged servicemen and women to adhere to the correct political direction. He urged military universities to stick to the Party's absolute leadership, maintain a high degree of consistency with the CPC Central Committee in thought, politics and action, safeguard the CPC Central Committee's authority, and follow the CPC Central Committee and the CMC. He also underscored the importance of military innovation, calling for more efforts to nurture, gather and retain talented servicemen and women. Improving students' ideological and political abilities and enhancing their political ethics should be the top priority in education, Xi said, adding that the Party committee at military universities must lead by example and demonstrate "a righteous academic attitude." The leadership and Party committee at military academies must be united in the promotion of a honest, moral political culture, and resolutely fight corruption, Xi said. Chinese President Xi Jinping on Wednesday called for reforms and innovation in military-affiliated universities and academies in a bid to support the building of stronger armed forces.